Join us for our first meeting of the Weird Science Book Club! The author, Dr. David Hu, will be attending to speak about his research and join us in discussion -- you cannot miss this! Discovering the secrets of animal movement and what they can teach us. 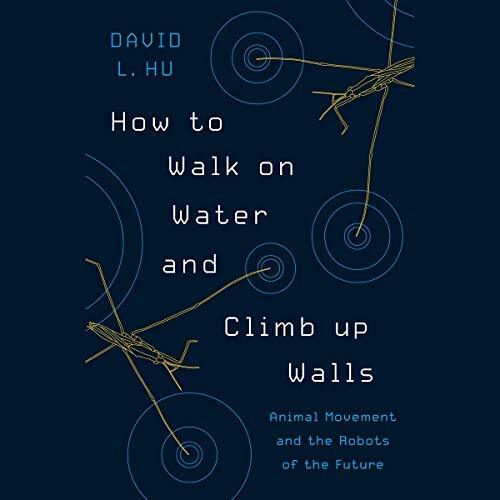 Hu follows scientists as they investigate a multitude of animal movements, from the undulations of sandfish and the way that dogs shake off water in fractions of a second to the seemingly crash-resistant characteristics of insect flight. Not limiting his exploration to individual organisms, Hu describes the ways animals enact swarm intelligence, such as when army ants cooperate and link their bodies to create bridges that span ravines. He also looks at what scientists learn from nature (TM)s unexpected feats "such as snakes that fly, mosquitoes that survive rainstorms, and dead fish that swim upstream. As researchers better understand such issues as energy, flexibility, and water repellency in animal movement, they are applying this knowledge to the development of cutting-edge technology.